Tablet PC is a commercial reseller for all Microsoft Surface tablets. 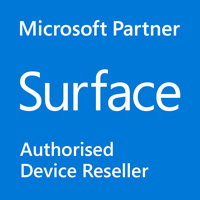 More than any other reseller or retailer in Australia, Tablet PC are the Surface experts. We use the Surface Pro, Surface Book and Surface Studio across our business. One of our founders is a Microsoft MVP for Surface. On behalf of Microsoft our team has trained thousands of Surface users across Australia to make the best use of their Surface tablets - and we offer that training to you. So talk to us early in your project to take advantage of our Microsoft Surface contacts and expertise. Which Surface is for me?